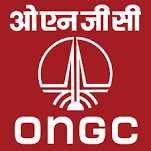 Oil & Natural Gas Corporation Ltd. (ONGC) Hazira Plant, Surat has published a Advertisement for below mentioned Posts 2015. Check below for more details. 2. Field Doctor under 14days ON/OFF Pattern. Educational Qualification : Candidate should possess MBBS Degree from a recognized University with one year internship and valid permanent registration certificate. 1. The engagement shall be purely on contract basis up to the period of 30.06.2016. 2. Only Indian Nationals are eligible to attend the Interview. 3. No candidate who report after 10.00 Hrs. shall be allowed for interview. 4. Candidates for above mentioned posts shall be selected directly based on their performance in interview. 5. Candidates should come prepared to stay for one more day i.e. on 16.09.2015 also. 6. No. TA/DA and accommodation will be paid/ provided for attending the interviews. 7. Candidates should bring Original Certificates along with one set of self-attested photocopies of the same and one recent passport size photograph. 8. PwD candidates with disability of OA (One Arm) or OL (One Leg) may apply for above posts.